Last week was February 29th, aka leap day. 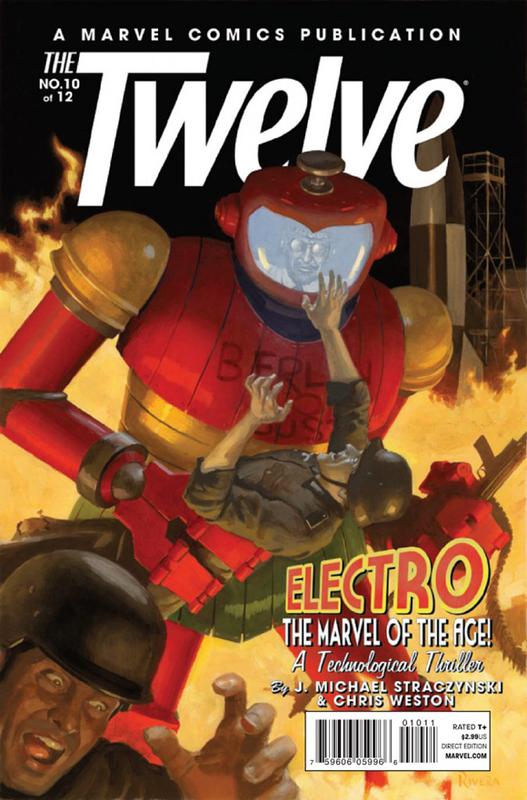 It was a light week for comics so Sheldon went with The Twelve #10 by J. Michael Straczynski and artwork by Chris Weston for the POW (Pick of the Week) also we got a special interview for you comic fans. We talk with the man, the founder of Hi-Fi Colour Design, the one and only Brian Miller. Find out how he got into the comic book industry and how working on Cable back in 1998 made a huge impact in his life for ever. We also talk about how photoshop help change the way of colorizing comics and the future of digital comics. Find out what you need in your art portfolio if your thinking of being a colorist in the comic industry. Brian tell us about his work in the Star Wars and Doctor Who universe and the future of Justice League International O.M.A.C. Brian tells us a bit about his love for Terry Moore’s Rachel Rising. We also talk about how kickstarter can make a impact in the creator owned comics world and a lot more, so don’t miss this amazing podcast.